The capital and largest city in the federal state of Brandenburg in eastern Germany. Owing to the fact that it is directly adjacent to its bigger neighbour Berlin it could almost be seen as a suburb of that metropolis, to which it is also linked by its public transport system. Despite its historical links to earlier periods, having been a favourite residence of German Emperors and Prussian kings, Potsdam earns its place on the dark-tourism map primarily for the role it played at the end of WWII and through the Cold-War years, when it was a major centre of the Soviet presence in the GDR. More background info: Previously merely a small market town, Potsdam rose to historical significance from the 17th century when it was chosen as a residence of Frederick William the First. But it was especially during the reign of Frederick the Second (aka “Frederick the Great” or in German by the affectionate informal “der alte Fritz”, 'the old Fred') that Potsdam became one of the great royal centres of Europe, namely that of the House of Hohenzollern of Prussia. 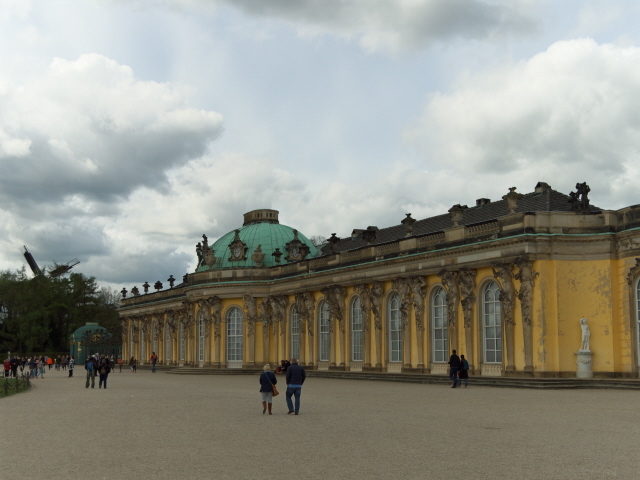 As a great proponent of the arts and philosophy, Frederick II also saw to the building of many world famous structures such as the Rococo Sanssouci Palace with its formal gardens. Frederick had prepared a crypt for him to be buried in after his death – but it would be a long journey before his body actually ended up there. When he died in 1786 he was initially laid to rest in the Garnisonkirche (Garrison Church – see below), but towards the end of WWII the coffin was moved to safety in an underground mine (on the orders of Adolf Hitler himself). Subsequently he was first moved to Marburg after the war and then to the Hohenzollern's ancestral castle near Stuttgart. 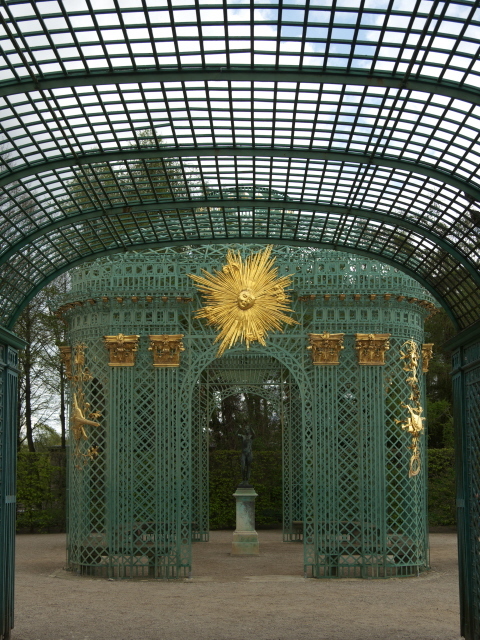 It wasn't until 1991 that Fritz's body was finally moved to the crypt at Sanssouci, as he had requested in his will. Potsdam was also a centre of the Enlightenment – hence it drew in minorities from other parts of Europe, such as Huguenots and Russians. The latter are still represented by a special Russian enclave that dates back to 1825 and is now a UNESCO World Heritage Site. Another architectural speciality from that time is the Dutch quarter, two whole streets lined with red-brick houses in a very recognizable typical Dutch style. Potsdam remained a Royal, later even a German Imperial centre, despite the fact that title of capital of the Empire officially went to Berlin. In 1914 Emperor William II signed the declaration of war in one of the Potsdam palaces. The end of WWI, however, also brought the end of the Empire and Potsdam's role as the seat of power of that Empire. At the end of the next war, WWII, Potsdam was back in the limelight when the Potsdam Conference was held in the Cecilienhof Palace by the victorious Allies (UK, USA, USSR) who decided here on the future fate of the defeated Germany (and how to divide its territory up into occupied zones), with major consequences for the entire post-war world and the onset of the Cold War. As Potsdam, together with the rest of the former Soviet Zone of Occupation, became part of the east German communist state GDR, its ties with West Berlin were severed, especially since the building of the Berlin Wall. The shores of its lakes and riverbanks facing east became part of the heavily fortified border that surrounded West Berlin. One link across this border that became an iconic symbol of the Cold War was the Glienicke Bridge, which connects Potsdam with the Berlin district of Wannsee. A couple of legendary exchanges of spies were performed here. During the Cold War and GDR era Postdam was also one of the main garrisons of the Soviet military presence in the GDR. The KGB had a heavily guarded enclave of its own here as well (complete with its own prison), even though its GDR headquarters were centred at Karlshorst in East Berlin. Potsdam played a significant role in the Peaceful Revolution of 1989 which eventually led to the fall of the Berlin Wall, and subsequently the reunification of Germany. This also spelled the end of the Stasi's own prison at Lindenstraße, right in the centre of Potsdam. The biggest change was the departure of the Soviet military by 1994, which opened up again their large complex. Lots of redevelopment is still going on there. This is also the case for many buildings that were damaged or destroyed in WWII. As in Berlin, the City Palace (Stadtschloss) ruins in Potsdam were blown up in the GDR era – but have now been reconstructed. The new palace is now the seat of the Brandenburg Parliament. More such reconstruction projects are under way. Nevertheless, several relics of the darker chapters of Potsdam's history still remain today, so its a fine destination not just for mainstream tourists who flock to Potsdam to see all those palaces and royal parks of the olden golden days, but dark tourists can also find several very special attractions here. Some of the GDR-era relics/buildings, however, may be doomed. For instance there's the former “Rechenzentrum” (data processing centre) on Breite Straße. The actual IT department of the regional government that used to occupy the building has already moved out and relocated to new premises. The empty building has since been used by artists. How long they can stay before the building will be demolished is currently not clear. It could be as early as 2018 or possibly another five years. The issue is the site next door. This is the spot where the Garnisonkirche (garrison church) used to stand, until it was damaged in WWII and later torn down by the GDR authorities. There has been an initiative campaigning for years (apparently quite successfully) for the reconstruction of the church. The church tower will be begun as early as October 2017, so I've read. For the rest of the church to be rebuilt, the old Rechenzentrum would eventually have to be demolished to make space – unless a decision is reached to make do with just the church tower reconstruction. We'll see. I'm not sure about this if it does go that way. It kind of smacks of the same type of “architectural revisionism” dilemma as with the new Stadtschloss (city palace) at Alexanderplatz in Berlin, for which the former GDR parliament building, the Palace of the Republic, was sacrificed. - the former Stasi prison at Lindenstraße. Plus there is a site shared with Berlin: the Glienicke Bridge (and museum about the former border). In addition, a couple of further relics of this ex-border remain in Potsdam, in particular yet another watchtower (see also under Berlin Wall), the so-called “Bertiniturm” that used to overlook the waterways in this border region. In Potsdam itself, there are several relics of the GDR times to be spotted of a more architectural nature. At Alter Markt, right next to the imposing Nikolaikirche with its distinctive classicist dome, stands a typical GDR-era modernist block (a former technical college) with its now rather shabby-looking 1970s façade. The interior seemed to be largely abandoned when I was there, so I'm not sure whether it will survive, though. Endangered (see under background) is also the former “Rechenzentrum” (data processing centre) on the corner of Breite Straße and Dortusstraße. The ground-floor façade of this early 1970s edifice is clad in fantastic socialist-realist mosaics celebrating the technological advancement of the GDR and its Big Brother the USSR, e.g. in superb depictions of cosmonauts or MiG fighter jets. One section also has a thought-provoking quote from the works of Karl Marx on it. There are plans for moving these to a different location so they at least can be saved if/when the building is demolished. If that happens it will be because of the site next door. That's where the Garnisonkirche (garrison church) used to stand, once the tallest and grandest Baroque church in Potsdam and the place where Frederick the Great used to be buried (alongside his father). This church was badly damaged at the end of WWII and subsequently torn down completely by the GDR authorities in 1968. Currently there are plans to reconstruct the church, beginning with the tower as soon as 2018/19. If the rest of the church were to be rebuilt that would have to be at the expense of the neighbouring GDR-era edifice. When I visited in April 2017, there was only an assortment of original rubble from the old church and an exhibition about the reconstruction plans (I didn't go in). It will be interesting to see what happens here. Another GDR-era relic is more likely to remain in place: the memorial on the south-eastern corner of what is now Platz der Einheit (Unity Square) commemorating the victims of fascism and war. This is, however, counterpointed by a newer memorial honouring the deserters amongst the soldiers. This was moved here in 1990 and played a role in the eventual rehabilitation of Wehrmacht deserters by Germany's parliament. A much more “traditional” honouring of war dead can be found in the form of Soviet war cemeteries in Potsdam, such as the inner-city one at Bassinplatz which also features a classic monument with a group of sombre-looking bronze soldier statues. More Soviet relics can be found in the former Soviet military area to the west of the Neuer Garten park (where Cecilienhof is located), especially in and around the KGB headquarters and prison (Leistikowstraße), such as the empty frame of a former monument with the shape of a Soviet star still visible on it (which somebody embellished with “K-G-B” graffiti). This whole former Soviet Military Town No. 7 can be explored on a “Geschichtspfad” ('historical trail'). Leaflets about this can be picked up at various points (including the former KGB prison). At 14 specific points of interest information panels have been set up to provide relevant background information. The kitschier side of the Russian heritage in Potsdam can be admired at the Alexandrowka “Russian Colony”. This is mainly an ensemble of traditional-style wooden houses set within a sprawling garden that could indeed be anywhere in Russia. It has nothing to do with the Soviet presence during the Cold-War era, though, but dates back to the early 19th century and was set up for Russian immigrants and named after the then Tsar (and Prussian king's friend) Alexander the First. In one of the wooden buildings in the colony is a Russian restaurant where you can take in hefty doses of typical Russian folklore kitsch while sampling some of the classic items of Russian food & drink. On a hillock in the park just north of Alexandrowka stands a fitting ecclesiastical building in typical Russian Orthodox style: the Alexander Nevsky Memorial Church. More traces of the Soviet military presence are/were located in the north of Potsdam where the large barracks were (often in buildings from Imperial times) – but here massive development programmes are changing the face of the city. Finally, since Potsdam was one of the kernels from which the Peaceful Revolution in the GDR began that eventually led to Germany's reunification, this is also part of the historical legacy. This has partly been commodified in the form of an app-based self-guided tour called “Postdam 1989” (cf. the similar offer for Leipzig, see Runde Ecke). The app can be downloaded for free (from both big app shops or via guidemate(dot)com). Location: Directly adjacent to the south-western-most corner of Berlin, in the federal state of Brandenburg, eastern Germany. Access and costs: easy to get to, variable price-wise. Details: The proximity to Berlin makes Potsdam easy to reach from practically anywhere (via one of Berlin's airports). From Berlin you can get to its neighbouring city simply by public transport, namely by regional metro line S-7, which terminates at Potsdam's main station. The station is also served by longer distance trains to/from cities across northern and eastern Germany. Unlike the traffic-restricted centre of Berlin, Postdam can also easily reached by car, and parking isn't necessarily as big an issue as in the neighbouring metropolitan centre. 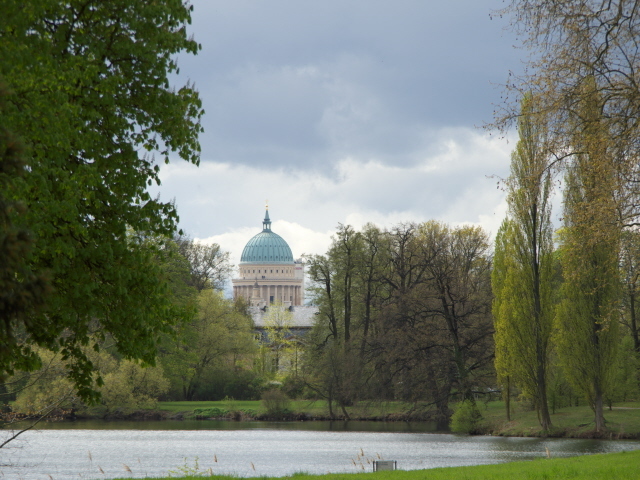 Getting around within Potsdam is best done on foot – as it is a lovely place for just walking and walking. The distances can get rather long, though, so some of it you may want to do by public transport. Fortunately Potsdam also has an excellent system of trams and buses. Fares are linked with Berlin's, namely in the VBB (Verkehrsverbund Berlin-Brandenburg). Potsdam is in the tariff zone C. If you want to head into Berlin or reach Potsdam from there you'll need a three-zone ticket (A/B/C). Accommodation in Potsdam is quite plentiful, and with decent options in the budget as well as more upmarket sections. For a place so touristy some good bargains can be found by shopping around a bit. One of the former top picks, the hotel within the Cecilienhof palace, however, closed in 2014. It is still unclear whether a hotel service will resume at this historic place in the future when the extensive restoration works it is currently undergoing are finished. For food & drink the range available cannot compete with Berlin, naturally, but there is still a good choice, including some very decent eastern cuisines, such as Russian (including right in the heart of Alexandrowka) or Bulgarian. The usual Italian et al. restaurants are obviously as omnipresent here as everywhere. Time required: To do all the sites mentioned here you need perhaps two days, but adding a bit of time for the non-dark aspects would also be worth it. So a single day return trip from Berlin will not do! You'd have to do two – or make Potsdam your base and stay overnight here. Combinations with other dark destinations: Most obviously: Berlin! Potsdam is actually connected to Berlin's public transport system, thanks to the S-Bahn (regional metro train) line S-7 that has its terminus at Potsdam Hauptbahnhof (central station), so it's easy to get to heart of Berlin quickly (but note that you'll have to have a three-zone travel pass for that!). Some of Berlin's dark attractions are even so close you can walk it. This is especially true for the legendary Glienicke Bridge and the adjacent museum about its Cold-War history and that of the Berlin Wall. The bridge, which connects Potsdam with the Berlin district of Wannsee is a mere 2 miles (3 km) from the Platz der Einheit in the heart of Potsdam, and only half that distance from Cecilienhof. From Glienicke Bridge you can also carry on eastwards by bus (line 316) for a few stops to Wannsee for a visit to the House of the Wannsee Conference. If you have a car, the a short (ca. 30-minute) drive in the other direction, to the south-west, can take you to the marvellous, semi-abandoned Beelitz Heilstätten sanatorium complex. For other sites further afield see under Germany. Combinations with non-dark destinations: Potsdam is a primarily a major non-dark, mainstream tourist hotspot – thanks mainly to its imperial heritage with splendid parks and palaces. The top pick is the world-famous Park Sanssouci with its iconic terraces in front of the Sanssouci Palace (which itself is rather modest-looking). Furthermore there's the grand Neues Palais to the west, the Orangerie, the Friedenskirche to the east as well as various follies and elaborate sculptures dotted around the enormous park and formal gardens. It's well beyond our scope here to go into further details. You'll get plenty of guidance at the site or at Potsdam tourist information office. 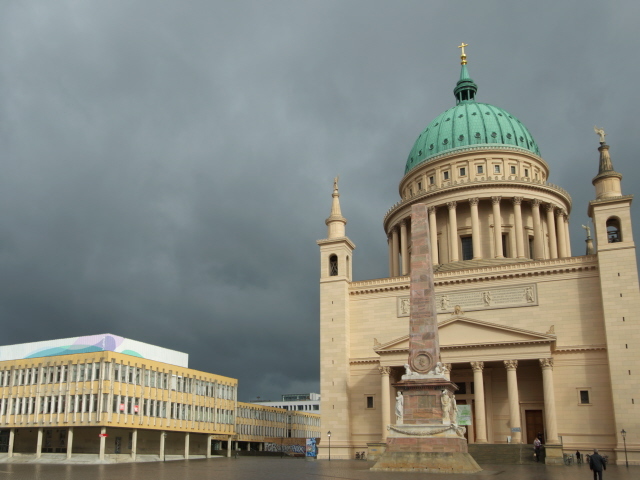 In the Old Town centre of Potsdam, classic tourist sights include the free-standing Brandenburg Gate (obviously not to be confused with the much more famous one in Berlin) or the older Jägertor ('hunters gate'), and the Neuer Markt with the imposing Nikolaikirche with its massive green dome. Around it are a few more classic architectural marvels, though not all of these are indeed as historic as they look. The Stadtschloss (city palace) opposite the Nikolaikirche is a recent reconstruction, finished only in 2013/14 and now housing the federal state's parliament. The former stables building next to it, however, is original. A unique little speciality in the Old Town is the Dutch Quarter – four blocks lined with gabled red-brick town houses in a distinctly Dutch architectural style. These were apparently badly run down in the GDR times and after reunification they were the first to undergo thorough refurbishment. It's certainly an exceptionally quaint part of town. 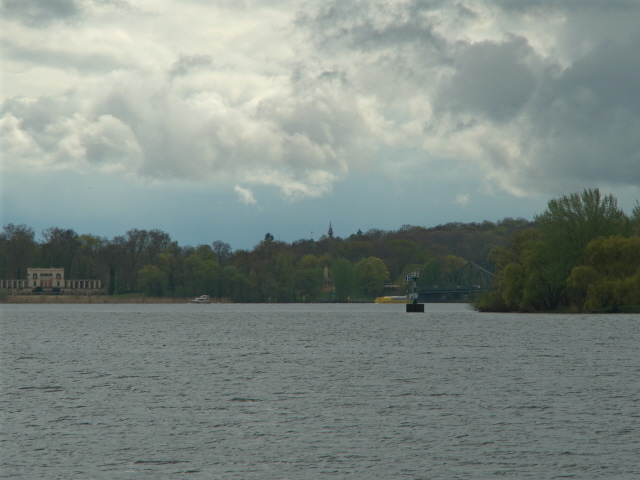 Across the Havel in the eastern part of Potsdam is Babelsberg. And here you can find the famous Filmpark Babelsberg at the site of Europe's oldest large-scale film studios, going back to 1912. It's where many an early landmark movie was produced including Fritz Lang's classic “Metropolis” or the movie “Der Blaue Engel” ('The Blue Angel') which launched the career of one of Germany's first truly international film stars: Marlene Dietrich. In the Third Reich, the studios produced several propaganda films such as “Jud Süss” or Leni Riefenstahl's “Triumph of the Will” about the 1936 Berlin Olympics. In the GDR era Babelsberg became the main film-production site in East Germany. After the reunification of Germany the studios were privatized. They continue to be used for large-scale film production, also international ones, such as the recent movies “Valkyrie” (2008), “Inglourious Basterds” (2009), “The Grand Budapest Hotel” (2014) or “The Monuments Men” (2014). Just like the big Hollywood Studios, Filmpark Babelsberg is also a tourist attraction, a seasonally operated theme park. With stunt shows, games, behind-the-scenes programmes and so on and so forth. A quieter side of Babelsberg is the Park of the same name in the north of the district bordering the waterways that separates Postdam from Berlin just south of the famous Glienicke Bridge. There are some palace buildings and follies here too, as well as an exceptional example of industrial architecture: the Dampfmaschinenhaus (steam engine pump house). See alos under Berlin and Germany in general.